You Completed the Pass! Now What? What do you do after you complete your pass? 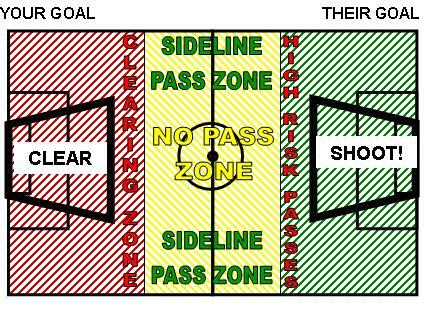 As shown below, you should immediately move to an open position after completing a pass. Pull return. 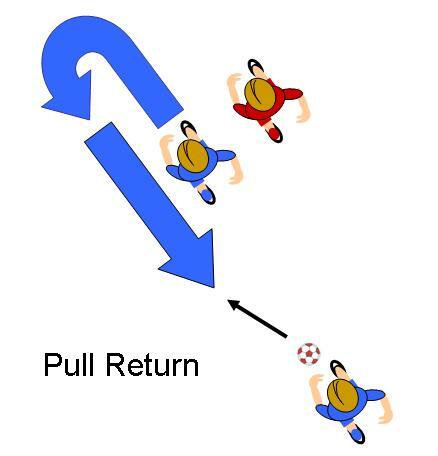 One tactic for getting open to receive a pass is called the Pull Return. 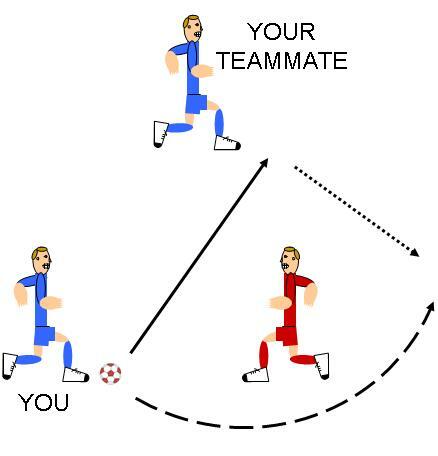 By running away from the ball your opponent will often give chase. 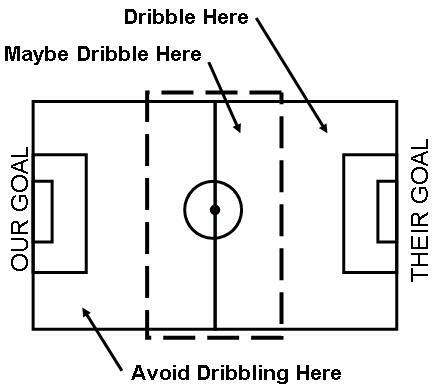 This will allow you to “pull” a player away from the ball. A sudden turn about and “return” will put you into an open position to receive a pass. Pull Right/Left. 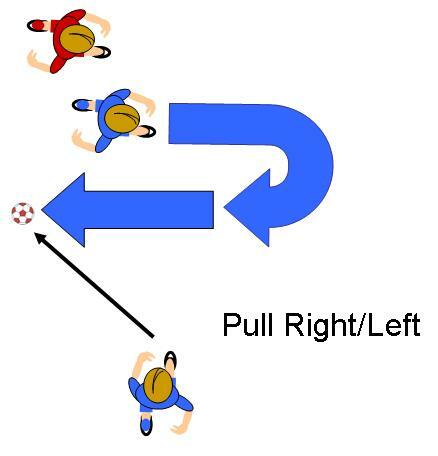 Another tactic for getting open to receive a pass is called the Pull Right or the Pull Left. 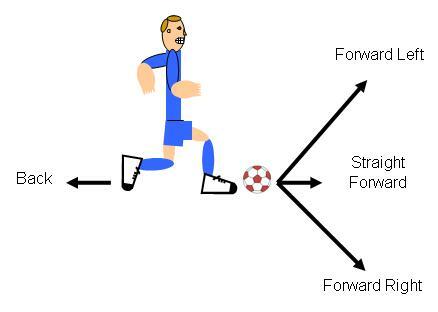 Again by running away from the ball your opponent will often give chase. This will allow you to “pull” a player away from the ball. A sudden turn about and “return” will put you into an open position to receive a pass.